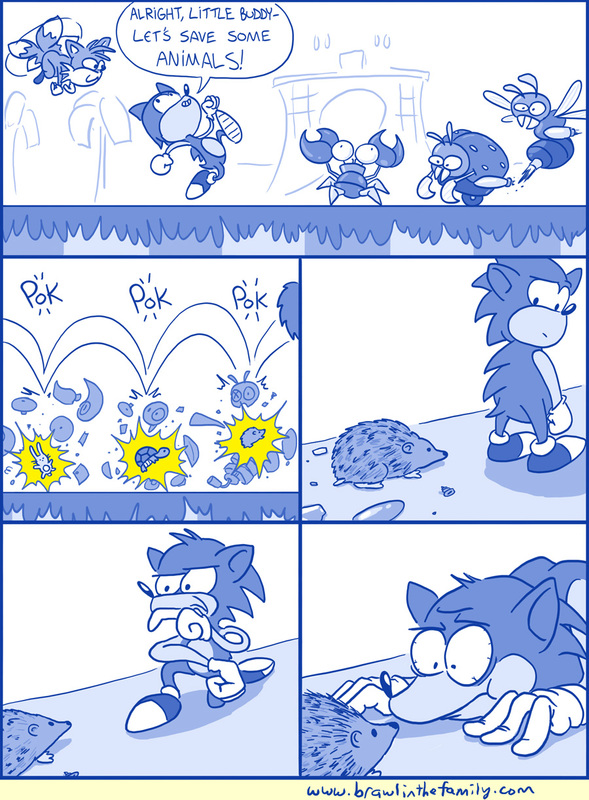 Here’s a rather strange little take on Sonic’s world. The bizarre consistency within these games has always felt funny to me; I can accept that Sonic and pals are talking, heroic animals battling a human bad guy…but what’s up with the more realistically-proportioned bunnies and squirrels that are freed from the robot foes? When worlds collide in the hedgehog-meets-hedgehog scenario above, it may be a bit much for poor Sonic’s mind. On a rather dire news update, we’re having some significant internal issues here at BitF. Hopefully it won’t affect anything currently going on, but keep an eye out and I’ll let you guys know if problems continue that would affect the site.